Get ready for the December 1st SAT and December 8th ACT! 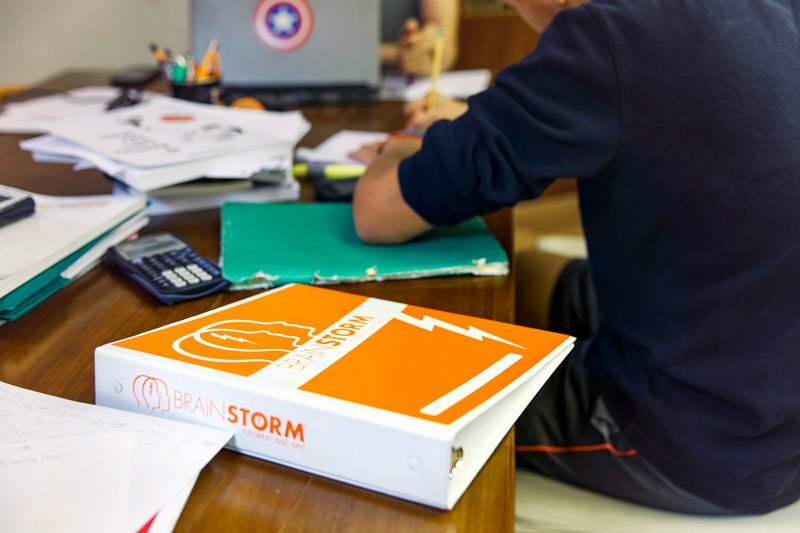 SAT prep classes and ACT prep classes at BrainStorm cover content, study skills, time management, and more. This semester, ACT classes run for six weeks and SAT classes are four weeks. Choose Wednesday evenings or Sunday afternoons to prepare for the exams and score higher on test day! Call 201-84-STORM to enroll now! Please join us for a presentation that focuses on the impact stress has on the brain & body as well as healthy ways parents can work with their children and environment to optimize brain health and limit stress. Topics will include diet, stress management techniques, organizational strategies and sleep management. Middle and High school students will experience their own training on mindfulness and stress techniques, including ways to focus, calm their body and sleep. Like all seminars at BrainStorm, The Impact of Stress is free and open to all. Join us at BrainStorm Learning & Arts Center in Franklin Lakes on Wednesday, Nomember 14th at 7:00pm. Space is limited so registration is required. To register, please email lisa@stormthetest.com. Make sure to include your best contact phone number and the name of each individual in your party. We hope to see you there! Visit the Behaved Brain Wellness Center website now! 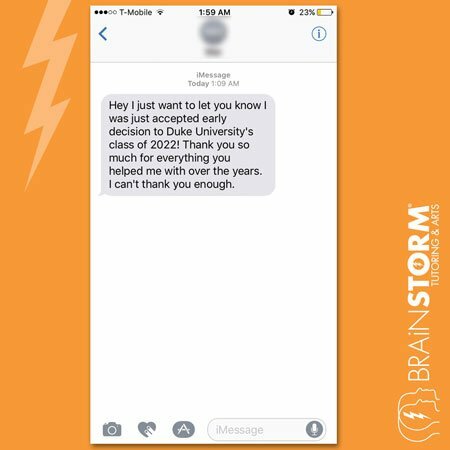 Check out this text message from a Ridgewood, NJ student who was accepted by Duke University after tutoring at BrainStorm!